The nature of child abuse in a family context makes such cases difficult to prove. 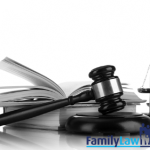 For this very reason, it is imperative that the law develops an approach to cater to the evidentiary difficulties involved in child abuse cases to ensure that children are free from abuse or risk of abuse. ..